Why Kaphunga needs a preschool? 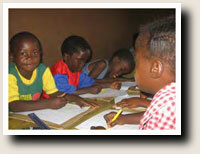 In Swaziland accessing education can be a challenge. In rural areas, where communities are geographically dispersed and largely live without running water and electricity and outside the cash economy, completely secondary education can be particularly difficult. Preschool education provides an important foundation for future educational success. In Kaphunga, children walk long distances to school. They’ve often worked for hours before they arrive (e.g. kids may work from 3am in the morning ploughing or harvesting fields before they leave for school) and have work to do when they get home. The lack of electricity can make completing homework difficult. Children whose parents did not attend school may lack supervision or support at home. As subsistence farming produces little money, school fees can sometimes prohibit their attendance, particularly if they need to repeat a grade. Studies have shown that children who attend preschool are less likely to repeat a grade at school and, on average, achieve higher grades than those who don’t attend preschool. The benefits of preschool education also influence behaviour outside of school, later in life. For example girls who attended preschool are less likely to become pregnant while they are teenagers than those who didn’t attend preschool. Children’s carers, usually women, also benefit when their kids attend preschool. It gives carers more time to attend to other chores. In Swaziland where it’s common for households to be caring for orphaned children or family members living with AIDS, daily chores can be a huge burden. 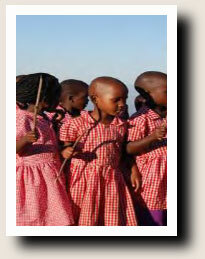 So a rural preschool not only helps children access a decent education but reduces the burden for their carers. 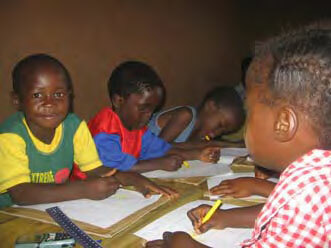 The Swazi government however does not provide any financial support to communities wanting to establish preschools. In Kaphunga, financial contributions from community tourism activities have made the opening of Matjana Preschool possible.